The all-new 2018 Hyundai Kona has been generating a lot of buzz lately and it’s easy to see why. The quirky compact crossover has tons of style backed by a peppy turbocharged 1.6-liter 4-cylinder engine and available all-wheel drive. 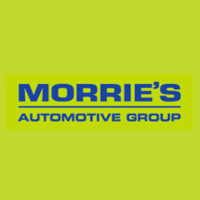 Stop by Morrie’s 394 Hyundai to pick up your complimentary Twin Cities Auto Show tickets and check out the new Kona while you’re there!